From the same people that brought Godzilla to our screens over half a century ago, came the Saturday morning kaiju punch-fest Ultraman (ウルトラマン). A staple of Japanese television, this show seems to have experienced regular revivals and adaptations since the first series aired in 1966. 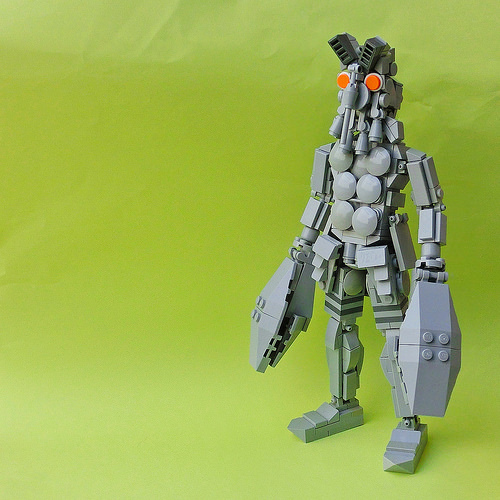 Flickr member umamen has built this perfect recreation of the Ultraman’s long standing, size-changing nemesis Alien Baltan. How a species with crab claws instead of opposable thumbs would ever get past the invention of the wheel is left as an exercise for the reader. But then again, who said this show had to actually make sense! ?